I just love stocking stuffers. When I was a little girl they were my favorite to open! We would open up all our gifts on Christmas morning and then our stockings. I couldn’t wait to see what fun little trinkets were inside. Now the Hubby fills up my stocking with fun stuff! He is the best gift giver and I am still working on it, guys are so much harder to buy for. But Rylee-Joy’s stocking is so much fun to fill! 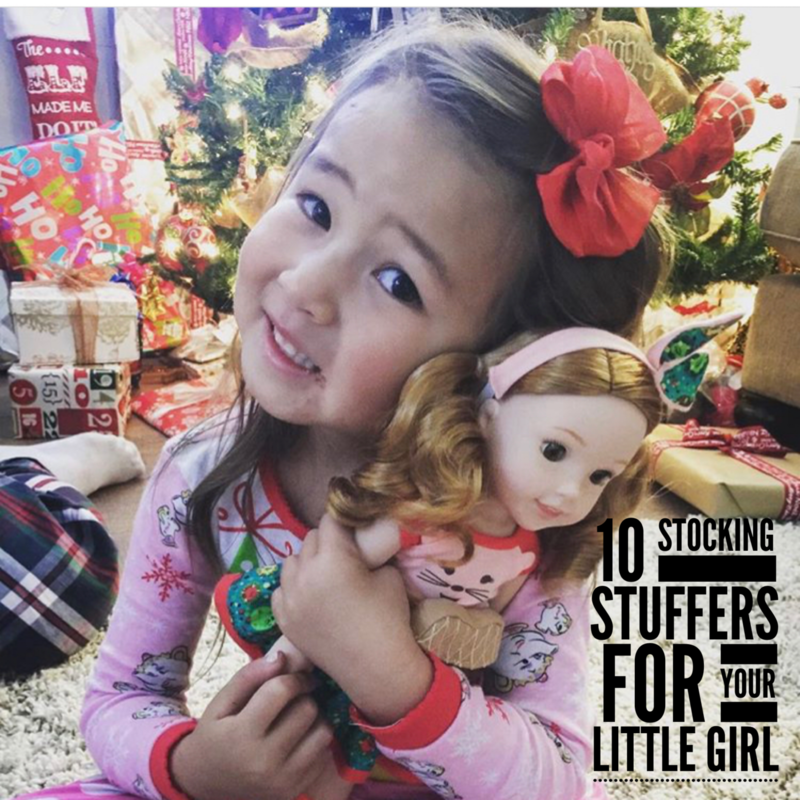 This year I want to be SUPER intentional with her stocking and thought I would share some of my ideas! Some seeds for our garden that we can plant together as a family this spring and let the gift giving keep coming! A card game! We love playing card games together and right now she is all in to the SPOT IT game and I think she will love this one! Skewers! Our girl loves roasting marshmallows by the fire and we always use coat hangers..lol..not this year! How cute are these ones? A little zipper bag filled with an at home “spa day” with mom. Put some cute little nail polishes, bath bombs, essential oils and a face mask. This mother daughter journal is called Just Between Us and its amazing! A coupon book they can use all year! How cute are these?! A disposable camera so she can take pictures of Christmas morning and then we can go develop together, IF I CAN FIND ONE! A special mug just for her. We love to make hot-coco together and my mugs are always so big. So I am ordering her one that is perfect size and she can have for a long time! What are some of your staple stocking stuffers?